Princelings are often talked about as a bloc, but in truth there are several different kinds. The children of veteran communists who held high-ranking offices in China before 1966, the first year of the Cultural Revolution, are commonly called “princelings.” There are princelings by birth — sons and daughters of former high ranking officers and officials of the Chinese Communist Party (CCP) — and princelings by marriage. Princelings by birth could also be further divided into subcategories: princeling politicians, princeling generals, and princeling entrepreneurs. 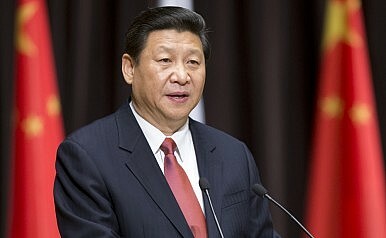 President Xi Jinping, for instance, is a typical example of a princeling politician. Xi’s father, Xi Zhongxun, was a veteran communist who served as secretary general and vice premier of the State Council in the 1950s and the 1960s and as a Politburo member in the 1980s. Yu Zhengsheng, the No. 4 ranking Politburo Standing Committee member and chairman of the Chinese People’s Political Consultative Conference, is also a princeling politician whose father, Huang Jing (Yu Qiwei), was the first communist mayor of Tianjin and the first minister of No. 1 Machine Building Industry. Huang was once married to Li Yunhe (i.e., Jiang Qing), who later married Mao Zedong. Examples of princeling generals include General Zhang Youxia, director of the General Armaments Department; Admiral Wu Shengli, commander of the PLA Navy; and General Liu Yuan, political commissar of the General Logistics Department. Zhang’s father was General Zhang Zongxun, former deputy chief of staff and director of the General Logistics Department of the People’s Liberation Army. Wu’s father, Wu Xian, was former vice governor of Zhejiang. Liu’s father, Liu Shaoqi, was former president of the People’s Republic of China. There are also princeling entrepreneurs by birth. Wang Jun, son of Wang Zhen, former vice president of China, is a good example. A graduate of elite Harbin Institute of Military Engineering, Wang worked in the China International Trust and Investment Corporation (CITIC) for 27 years until his retirement as board chairman in 2006. Wang’s successor, Kong Dan, is also a princeling entrepreneur. Kong’s father, Kong Yuan, was the director of Investigation Department of the CCP Central Committee in the 1960s. The sons-in-law and daughters-in-law of former high ranking officers or officials of the CCP can also be considered princelings. Here again, we see princelings acting as politicians, generals, and entrepreneurs. A typical example of a princeling politician by marriage is Wang Qishan, the No. 6 ranking member of the Politburo Standing Committee in charge of the anti-corruption machine. Coming from a relatively modest background, Wang rose rapidly in Chinese politics because of his marriage to the daughter of Yao Yilin, a former executive vice premier and Politburo Standing Committee member. General Liu Yazhou, political commissar of the National Defense University, is a princeling general by marriage. His father-in-law is Li Xiannian, former president of the People’s Republic of China. He Ping, former board chairman of China Poly Group Corporation (one of the largest state-owned enterprises), is a princeling entrepreneur by both birth and marriage. His father-in-law is Deng Xiaoping, the paramount leader of China in the 1980s and the 1990s, while He’s father, He Biao, is also a veteran communist leader who served as deputy director of the General Logistics Department of the PLA in the 1970s. Generally speaking, princelings by birth tend to have a stronger sense of entitlement as successors to the first generation of revolutionaries than princelings by marriage. But further generalizations are risky. Contrary to popular belief, princelings are not a coherent political faction. They are simply a categorical group, whose individual members may or may not have any political ties with one another. Politicians with ties to Shaanxi, Xi's home province, have fared well since Xi came to power.